By Peter Hughes on February 5, 2019. Filed under: SEO, ssl certificate. There are 200 things working against you, according to Google. That’s a lot of factors to fight against when it comes to getting above the fold on the first page. And three years ago, we probably only knew what a third of them were. Luckily we know most of them now, thanks to determined research and trial/error. One of those things is the difference between your website saying http and http”s”. That little “s” comes from the existence of a website security certificate, which Google’s algorithm will reward you for. Want to learn about what it is, why Google likes it so much, and how to get one? We’ve got your guide below! The term website security certificate refers to a more technical term, an SSL or secure sockets layer. Like it sounds, the secure socket layer is an extra layer of security. 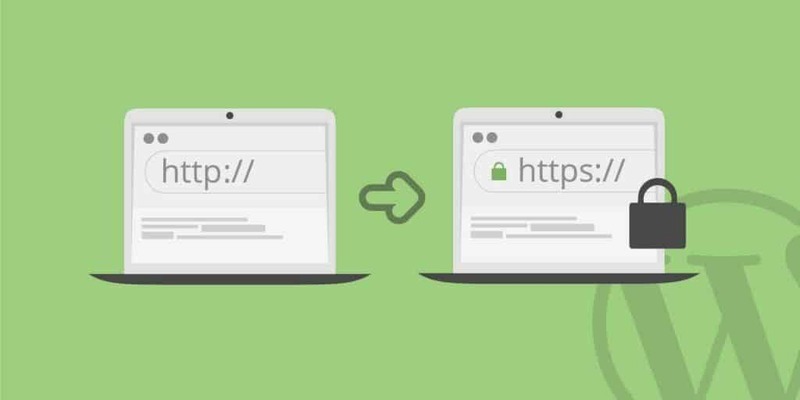 Without an SSL, your website isn’t tied or encrypted to a server. It simply exists on the server, which makes it easier for hackers to access it. 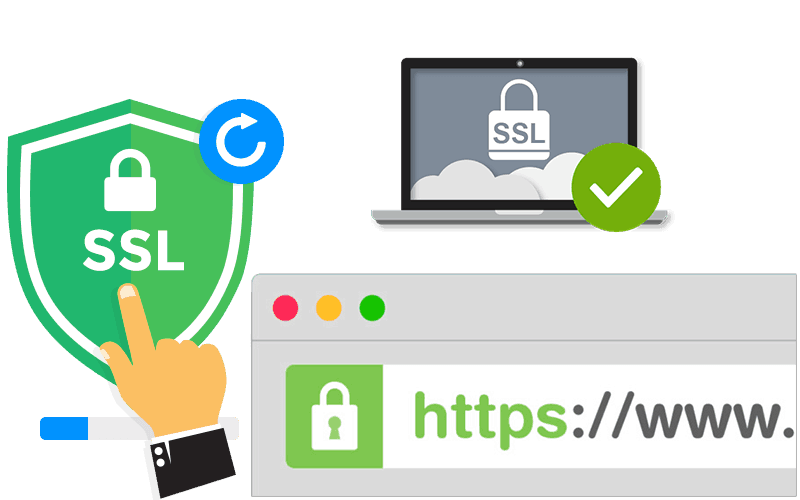 When you purchase and maintain an SSL, it ties your link to the server, making it more secure. And that’s exactly what that little “s” at the end of your https:// stands for – “secure”. From the site visitor’s perspective, if they see an https:// site, they know that their information is safe. There may still be cookies that track their spending information, but their info is secure. Many consumers are catching onto this trend and refuse to make any sort of online purchase on non-https sites. We don’t blame them. While, yes, it’s an extra cost for retailers, it’s worth the ounce of prevention for everyone involved. You don’t want to be one of those retailers who have to issue a public apology for not taking good enough care of their client’s data. How Do SSL Sites Work? To understand what the security layer does, we have to look at the worst case scenario, when it comes to data. Hackers are very, very smart. If they find an unprotected site, they can place a “listening” or “watching” device on the server. When someone types any sort of information onto the site, the malicious software turns on. It records the information and delivers it to the hacker, who can do whatever they want with it – including steal that person’s identity. When there’s that extra layer of security (an SSL), the hacker can’t place their software on the site. Thwarted, again! It seems like a small thing, but it can make a big difference for the people that use your site! As we’ve already discussed, secure sites have the “s” after their HTTP notation. This is one way to show consumers that you’re putting their security first. But web browsers want to make it even easier for people to identify safe sites. In case you don’t know what the “s” means, you can look for a small padlock icon. It may be green or black and followed by the word “Secure”, or not. It depends on the browser. If a site isn’t secure, it won’t have a padlock and may even say “not secure”, at least on Chrome. Let’s get back to those two hundred factors you need to check off to please Google. As you may have guessed, SSL certificates are on that list. Google’s whole mission or purpose is to deliver what the user wants on the first try. That’s why they’re constantly changing their search algorithm. The quicker and more efficient they deliver information to searchers, the happier everyone is. And that goes for site quality as well. You probably know about bounce rates and site quality scores – Google wants to not only link to the right page but an attractive one. And what’s more attractive than a site that keeps your data safe? Having a secure site will give you a small boost in your rankings. It’s not going to be the difference between being 12th and 3rd in a ranking list, but it’ll make a small difference. Maybe you’ll be 9th instead of 12th. That’s just from getting, paying for and maintaining an SSL. Considering the costs and complexities of other SEO boosting methods, that seems worth it (more info here). Part of your ranking comes from just having the http”s”. It shows Google that you take your site security seriously. The other part comes from the increase of your site quality score. You can pull some extra points in that arena with your SSL installation too. The secure site indicator should decrease your bounce rate since the consumer knows their data is safe. Imagine you’re a consumer and you go to a site expecting to buy . . . a sleeping bag. You have your card out and you’re ready to click “buy”. Then you see the site isn’t secure. What are you going to do? Leave immediately and take your business to the next secure site you see. It makes sense – and you just lost that conversion. Installing an SSL on your website isn’t hard. You just need to find someone that sells a high-quality website security certificate. To check their quality, first, make sure they have a secure site. Then you can check online reviews and compare prices. Once you find a site you like, purchase your SSL and get it installed. Then, sit back and prosper. Want more awesome advice like this article? Read this next.